I learned of the term “Sibling Integration” from OCMom — as you can see we talk a lot and read each other’s blogs a lot — but it does fit my biggest concern with this upcoming pregnancy. How will Sam adjust to life with a new baby? 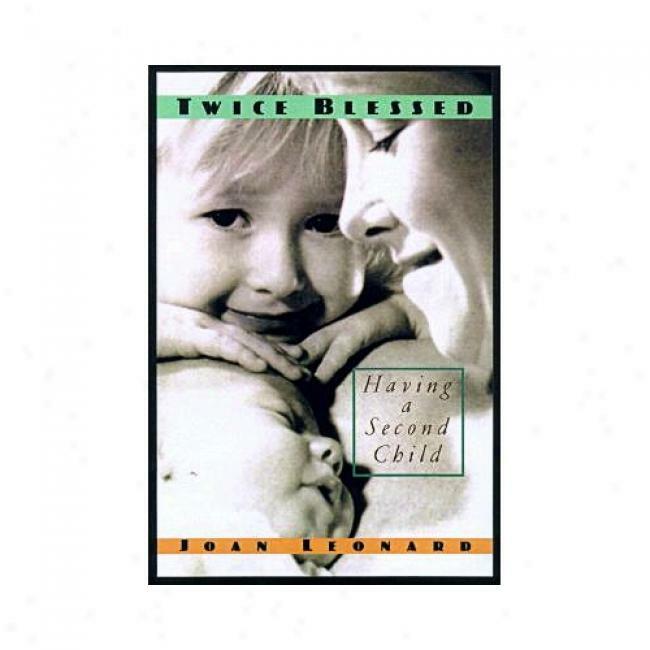 I looked for books, and found one called Twice Blessed. Quite honestly though I felt it to be a little bit on the negative side and not as helpful as I’d hoped (ergo, not worth buying). There are some interesting facts and figures in the book, but nothing really breakthrough and inspiring. Mommy Meadowmont: Someone also I’ve been talking to sporadically since she just gave birth a couple of months ago. Her kids are 18 months apart! 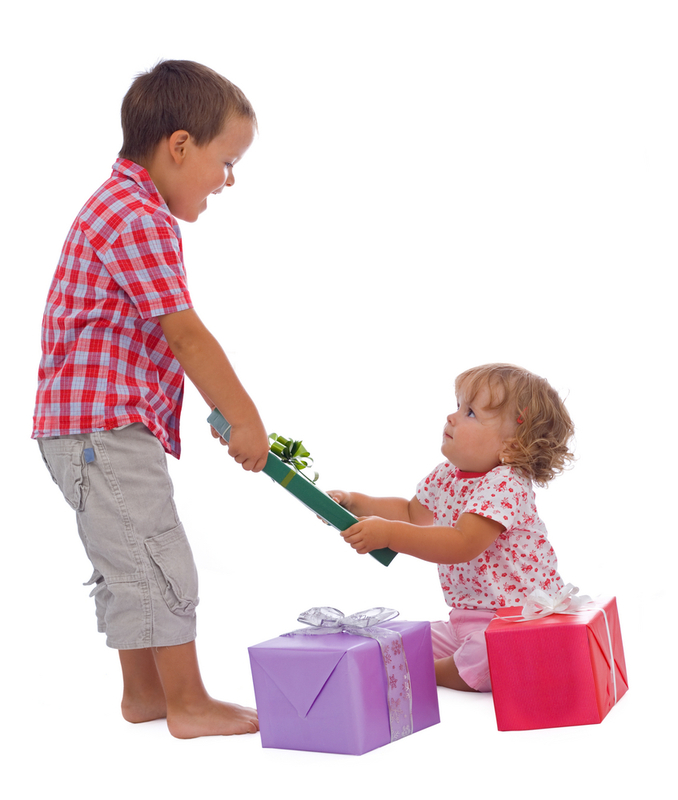 Tug-of-war or Sharing & Caring? 1. “Survival skills” for the younger one come faster. Mommy Virginia-Boston and Mommy Meadowmont say that the second baby has no choice but to be lugged around and dragged to all the activities of your firstborn. So there is less room for scheduled naps, and baby #2 will really have to learn how to cope and adjust. More often than not though, they do. “They just learn and generally they’re okay with it“, Mommy New York says. The message: don’t drive yourself crazy trying to keep two routines because — well, you’ll just drive yourself crazy. There will be a time I’m told when the older sibling becomes more independent (stays in school longer), then a little bit of a routine for the second one starts to form, activities and all (And then you turn into a chauffeur mom.). 2. Keep the older child’s sense of space as intact as possible. The last thing you want is for your older child to feel she’s been displaced. I still don’t know how we’re going to do it without one child waking the other up if all four of us sleep in the same room like we plan to. Well Mommy LA says they’re happier keeping everyone together instead of having to endure ferberizing as it didn’t work the first time. Mommy Virginia-Boston though says it was easier to teach the 2nd one to sleep in her own room, while the first one she still allows in her bed because that’s what they were used to. I guess it’s only over time when you find what works for you. 3. “Our baby”, not just “Mom and Dad’s baby”. I feel this was the most insightful bit of them all (Thank you, Mommy Virginia-Boston). I’ve heard about getting the older child involved, but I feel that this philosophy takes it to another level. It’s like giving your eldest an actual say in what will happen to the newborn (Well, Sam did pick out Jamie’s name). Mommy Virginia-Boston was relating an anecdote about how protective her eldest is of her younger sister, and that when she tries to get one-on-one time as many books say to do, Her eldest complains about leaving the younger one behind. She’d rather it be the three of them, instead of just the two of them. I don’t know if age and gender play a role in this as older boy siblings I’m told may not be as “mothering” as older girl siblings, but it’s worth a try just the same. 4. Expect more chaos and less rest. I love Mommy Meadowmont’s statement of “it’s horrific the first three weeks, but then after everything kind of falls into place“. Okay. So about three weeks of losing my mind — not bad. It’s happened before. Thank goodness we got a Doula. 5. Try to go for independence early on. I was explaining my plan to Mommy Virginia-Boston of keeping baby #2 in a sling while I move around, but she was saying that it’s better if the baby learns to be as independent of you as soon as possible. 6. One parent is to one child. Mommy New York says she tries to leave one child with their father as much as possible. It’s easier on both children if they know that they each have a parent to turn to when they both need it. And besides, as a mom, you need some sort of a break too! 7. Re-define your definition of “me time”. Whereas before “me time” could really actually mean “you time”, I’m told with two kids, “me time” = ability to do chores in peace. Mommy LA said as well, “I kept complaining that I didn’t have time with just one child. But now when I just have one with me while the other one is in school, I feel like I can accomplish so much!” So I suppose… it’s all just a matter of perspective! Thank you to my moms of two’s who have somewhat helped prepare us for what’s ahead — even if in truth, there really is no proper way to such a thing!